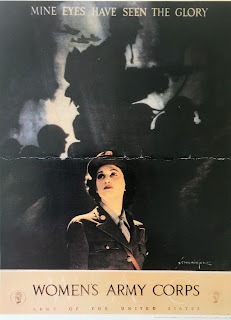 The postcard above was brought home in my duffel bag instead of being mailed to my mother in 1991 during the first Gulf War. In preparation for Veterans Day, I decided to go through old pictures and memorabilia from my father's World War II items. To my surprise, I discovered an intriguing history I never realized. I totally understand why I want to symbolically build bridges and stop the enemy! 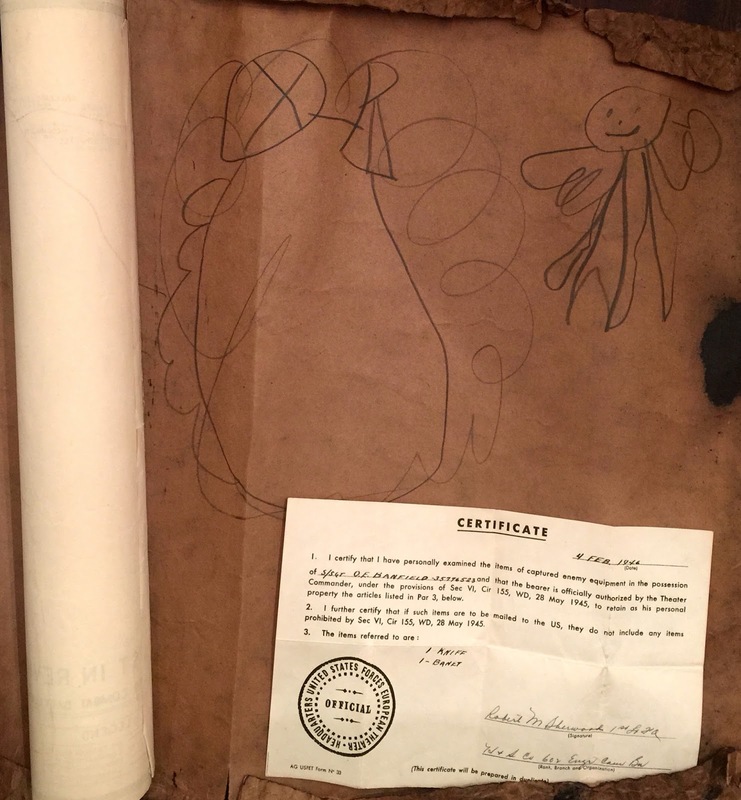 What's more, the actual discovery of my father's past lay in wait until this date November 11, 2015. 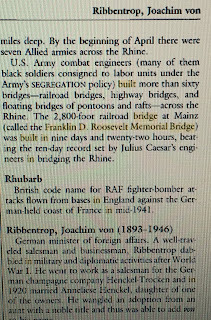 ...and, tell a tale about the Franklin D. Roosevelt Memorial Bridge (above). 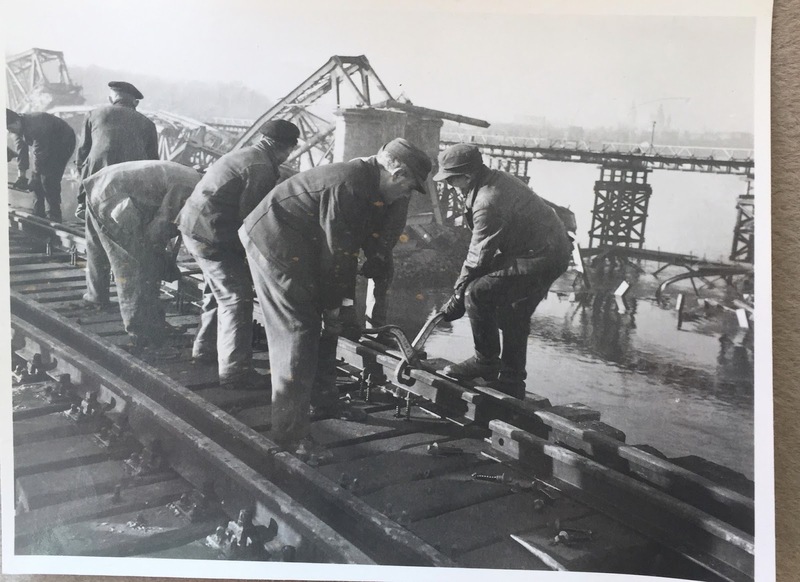 For the troops, supervisors (like my father a Staff Sergeant), and the commander of this unified effort to build bridges to cross the Rhine River was a dangerous affair... and a successful one! 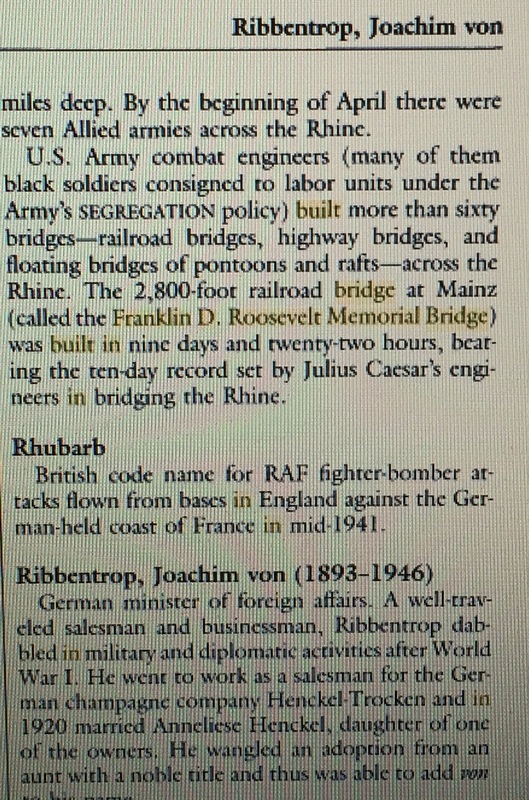 The greatest artifact in my historical dig...according to Joachim von Ribbentrop... was "the 2,800-foot railroad bridge at Mainz (called the Franklin D. Roosevelt Memorial Bridge) was built in nine days and twenty-two hours, beating the ten-day record set by Julius Caesar's engineers in bridging the Rhine." 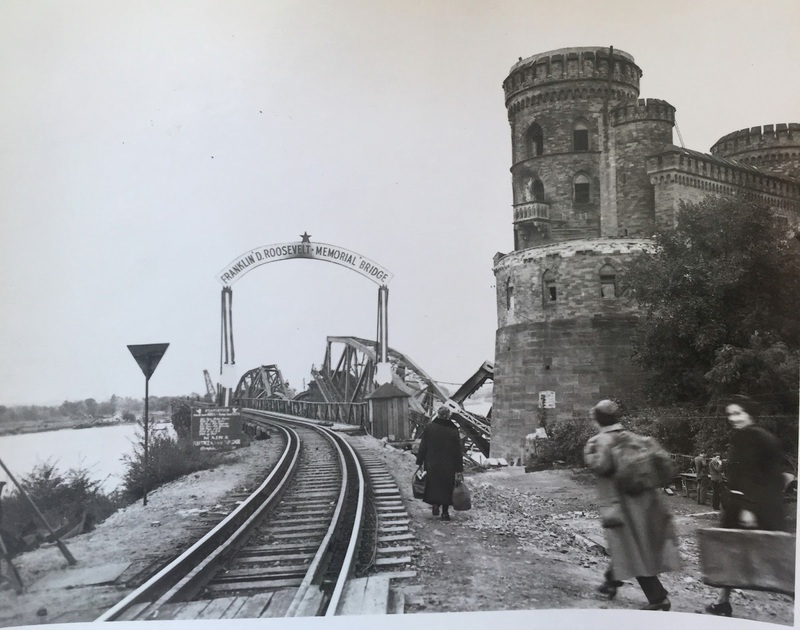 "Hilter saw the Rhine as a 'they shall not pass' symbol of the steadfastness of the THIRD REICH." 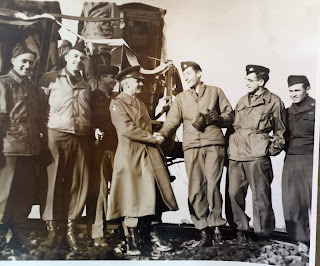 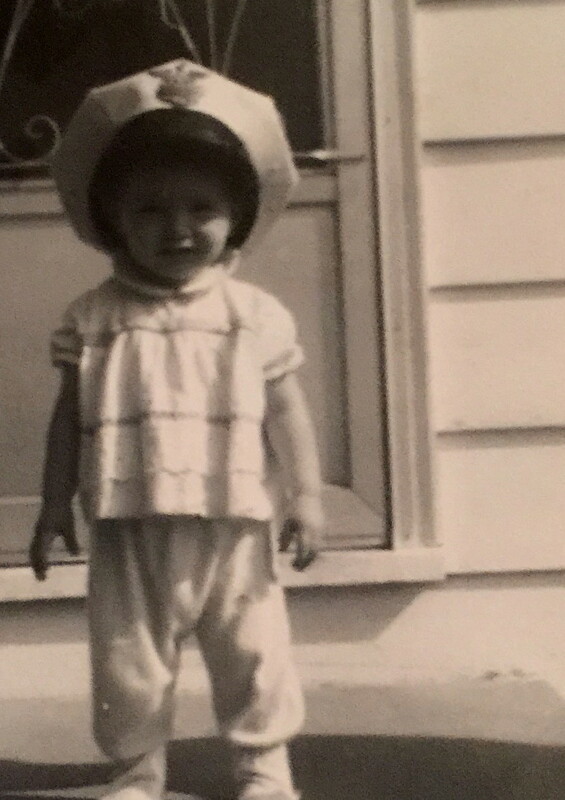 I wished my father had talked more about his experience during World War II. 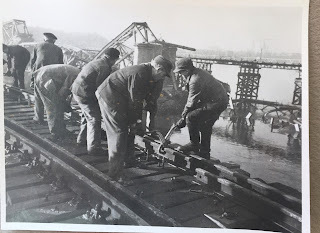 The most I got out of him was, "I supervised men who built bridges in Europe." 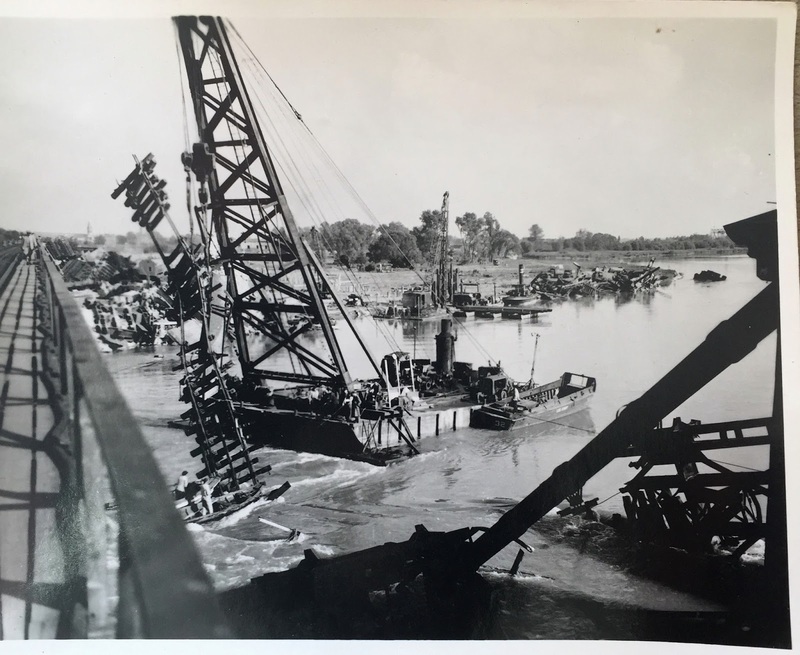 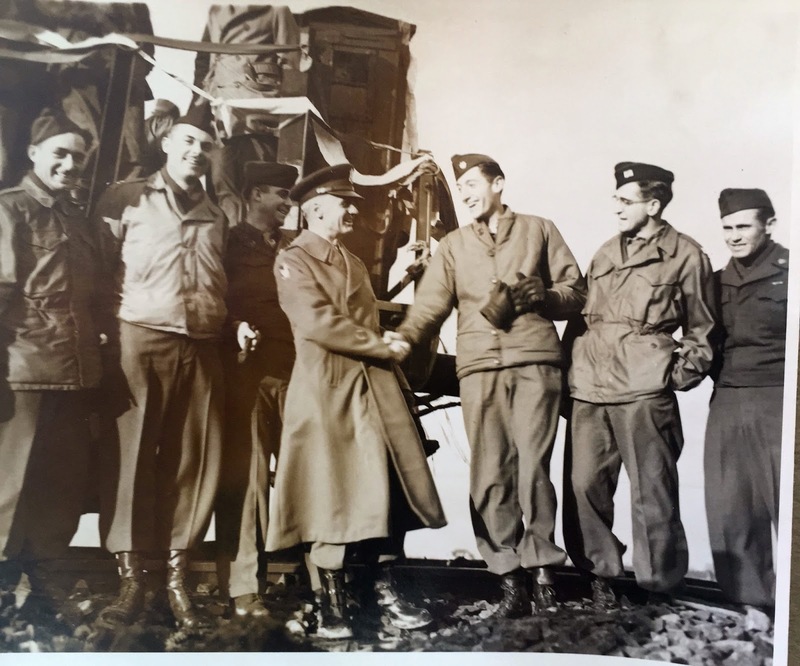 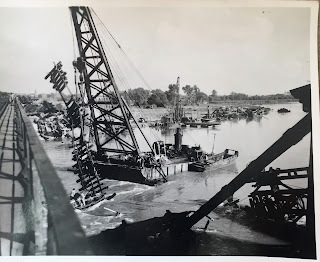 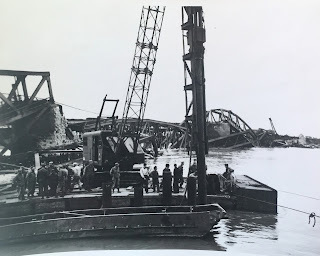 The clues which include a purple heart he received for his injuries, the above photos, a certificate showing where he sent home captured enemy equipment, a group picture of men who worked on the bridges and maps of the bridges they built tell an incredible tale. 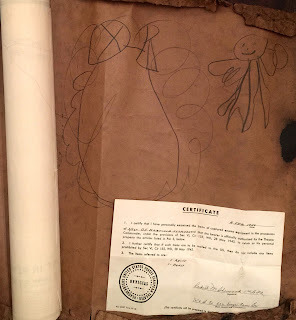 The group picture and maps (above) will remain concealed as well as the details of my secret map drawn on the inside of the worn-out cover until I post another blog on this adventure. 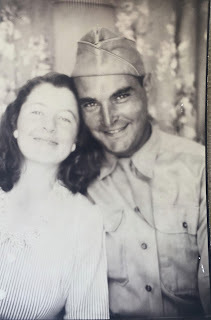 This post is in honor of my father, Ora E. Banfield, who served in the Army, November 20, 1943, to March 6, 1946.